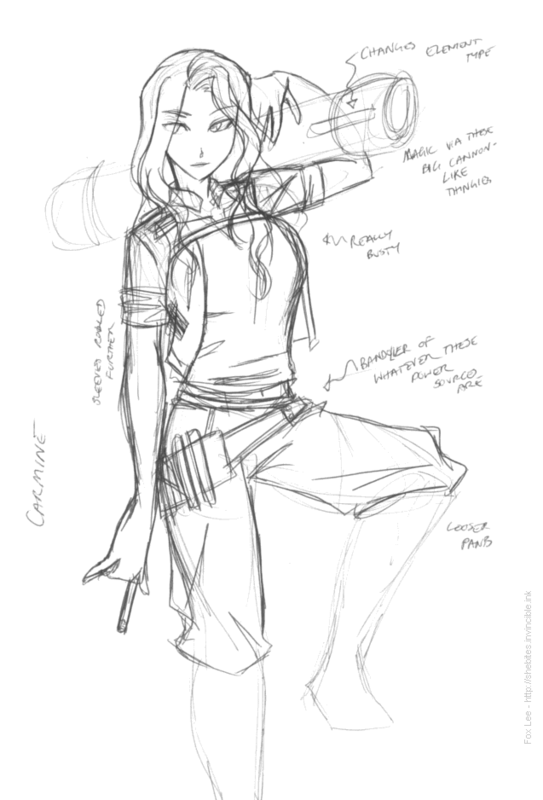 This is actually one of the first Guilded Age concepts I did, right at the start of design, but I never published it because I was going to finish up the design for her weapon - a Guild-supplied alchemy "launcher" tentatively called an Athanor cannon, which serves as to isolate and direct the chemical reactions that fuel alchemical magic. However, since I finished a bunch more designs I didn't want to leave her out, since I adore her face and costume. Cannons will have to wait until later!